If you’re a member of the armed forces of the Imperium of Man, there’s a simple rule, don’t let those filthy Xenos or heretic scum anywhere near holy Terra. Unfortunately if you’re a player of Fantasy Flight’s Relic, you obviously haven’t been doing your job as the latest expansion heads to Earth. 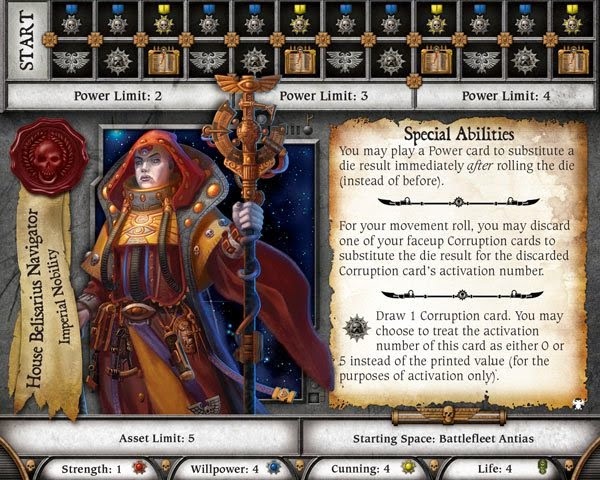 Halls of Terra is the latest expansion for Talisman-with-Space-Marines board game Relic. In it players will scarper out of the corrupted Antian sector back to the cradle of mankind in order to ask the big boys for some support. 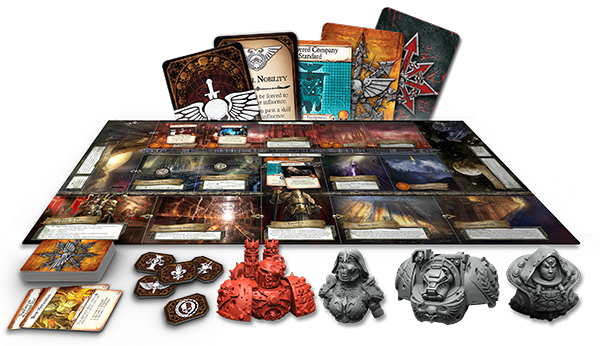 The game features a new side board with locations based around the Imperial Capital and Mars, home of the Adeptus Mechanicus (and also where all those big titans are built). Not only is there a new board but there are also three new characters and one new nemesis character. The new characters include a navigator and a terminator, which looks from the initial shots like a member of the Deathwing but I’m not sure. Of course there are also more mission cards, corruption cards, equipment and relics but it’s the new side board that makes this more interesting. I always felt that Talisman was much more interesting after you added some of the corner boards but it also made the game more sprawling which is a downer if you need to catch another player. What I also find interesting is the new board is a side board and not a corner, so does this mean that Fantasy Flight Games is only planning 1 more board extension? No release date has been set for Halls of Terra.